I rented with this guys this week and was really convenient I work on construction and they open at 6:00am perfect for me and close to the freeway. David was very friendly, the staff is very polite & the carts in the office made it very easy to unload everything. My cousin recommended me this place and he has right, really good staff, they help me and advise what I need, they have cars to move my items, big elevators, they open early morning since 6:00am, work perfect for me. Great Service and Staff very clean units and the very good prices. Will recommend for sure!!!!!!!! best affordable storage around town, we had to move of our apartments immediately and the guys in the office helped me with my process, they made renting here very easy and the facility is very clean and brand new as compare to the storages on Federal St. 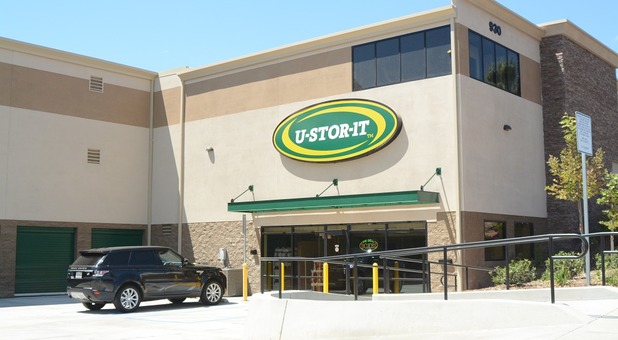 Thank you for the pleasant experience U-Stor-It San Diego. First off this storage facility has been a real pleasure to work with. The staff has been really helpful from day one. They will really go above and beyond to lend you a hand. I have had no problems with my stay and am very happy how everything turned out. Looking at other reviews on here I think that those who had a bad time, it was just a unfortunate circumstance. I have other friends that use this storage facility and they love it as well. The spaces are clean, neat, and pretty spacious. It was TREMENDOUSLY helpful to have the ULINE carts around and that's just a free little perk they have. I fully recommend this storage facility and will use it again if need be. Thank you for the pleasant experience U-Stor-It San Diego. The storage place has really good deals they give me good promo and I work during the week so I have enough time during the weekends to check on my storage. IF YOU NEED ANYTHING THEY ALL THEIR TO HELP. DAVID IS VERY FRIENDLY BUT HAD TO HELP OTHER PEOPLE AND FRANSICO HELPED ME OUT. HE IS EVEN MORE FRIENDLY NICER AND EVEN HELPED ME WITH ALL MY PROBLEMS. IN MY CHAOTIC SITUATION. AND EVEN HELPED ME WITH UHAL O. IF YOU NEED TO STORE ANYTHING I WOULD RECOMMEND THIS PLACE VERY CLEAN AND WELL KEPT. FRANCISCO AND DAVID ARE A1. I got the first month free on a large storage unit, thanks to Francisco who help me on giving me great deal, will stay here for many months thank you! Plus free coffee. The staff here is so great! Paola found me storage for my move and even gave me the first month free!! I've had so many storages in my life and this was by far the best. The managers are great, place is very clean and very convenient right off the freeway. Can't complain! For anyone looking to store items this is a very good location. I have had units in many places around San Diego and can say this is the cleanest and safest storage in the area. I am in and out of my unit at least once a day, the staff are always very helpful and I have had no issues with anything about this self storage. Overall I would highly recommend this location. The staff was great. Paula and David were great. Knowing the facility and great about everything I had questions about. Would recommend this to family n friends. The best in southeastern san diego! super clean and the managers were very friendly and helpful. Great Facility brand new close to my house in Encanto. Paoloa was very helpful!